NOV. 18: Martinez will make $2.8MM over the next three years. His 2021 option is valued at $1.2MM, giving his contract a maximum of $4MM over four years, Jorge Castillo of the Washington Post reports via Twitter. OCT. 30: The Nationals have formally announced the signing of Martinez to a three-year deal with a team option for the 2021 season. OCT. 29, 10:16am: A contract is now in place, Janes tweets. It’s a three-year deal with an option for 2021. 10:14am: Chelsea Janes of the Washington Post confirms that Martinez is the choice, though she reports that he and the team haven’t finished negotiating a deal yet (Twitter link). Notably, the Nationals hired Baker after negotiations with Bud Black fell through. Black looked like a lock to land the job at one point, which is obviously the case with Martinez now. 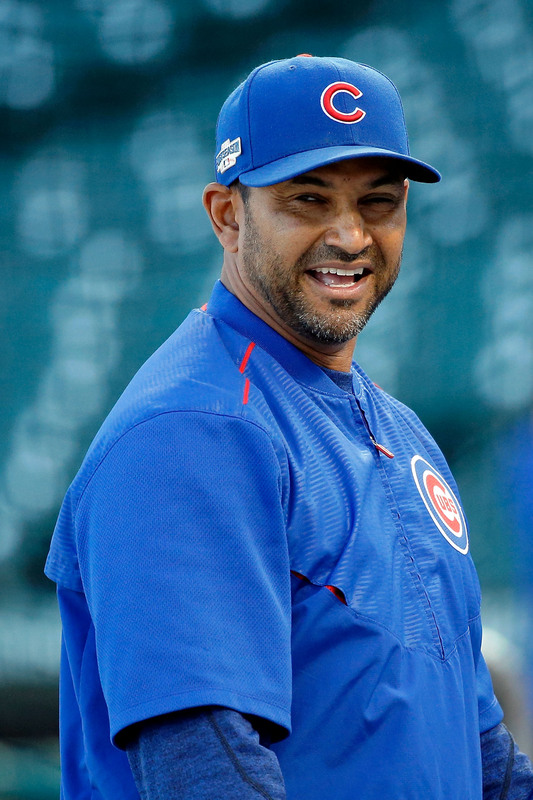 9:14am: The Nationals will hire Cubs bench coach Dave Martinez as their manager, Jon Heyman of FanRag reports. The Nats will make an official announcement after the World Series, Heyman adds. After the firing of Dusty Baker on Oct. 20, the 53-year-old Martinez quickly emerged as the overwhelming favorite to take over in Washington, which chose him over fellow interviewee John Farrell. The Nationals also showed interest in Alex Cora, whom Boston selected as its manager, and Mets hitting coach Kevin Long. Washington received permission to interview Long, but it’s unclear whether the two actually met. 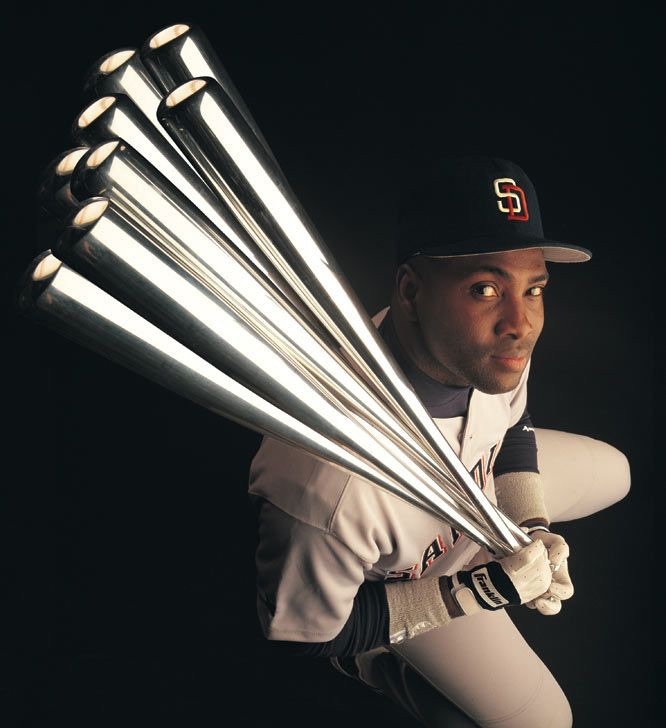 Martinez was a major league outfielder from 1986-2001 who also brings plenty of experience in the dugout. He served as manager Joe Maddon’s right-hand man in Tampa Bay (2008-14) and Chicago (2015-17), and drew managerial interest from multiple teams in recent offseasons. In fact, the Nationals nearly hired Martinez in 2013 prior to tabbing Matt Williams, who lasted two years before giving way to Baker. Given the talent on hand, the Martinez-guided Nationals figure to once again end up as one of the majors’ premier teams in 2018. The Nationals’ collection of quality players surely made their managerial vacancy appealing to Martinez and others, but the job does come with drawbacks. The position doesn’t seem to feature much stability, for one, nor is Washington regarded as a franchise willing to spend much on a manager. Further, the Nationals could lose two of their best players – right fielder Bryce Harper and second baseman Daniel Murphy – to free agency in a year. With Harper and Murphy in the fold for at least another season, the Nats will turn to a neophyte manager to win over a clubhouse that’s reportedly “upset” with Baker’s exit. Martinez has long been a well-regarded assistant, though, and both his openness to analytics and Spanish-speaking ability should serve him well in his new role. Does Girardi want to be Maddon’s new bench coach? No kidding, not much left of Maddon’s coaching staff from last year. Glad to see Dave got a chance to manage, he has been Joe’s right hand man for a while. Rather have David Ross. He already works in the front office no reason not to inquire him as the bench coach. Ross likely would decline the job anyway. Thoughts are he wanted family time after retirement for a few years. Gabe Kapler is a good possibility to take over as bench coach as well if he doesn’t get the Yankee job. A lot of buzz around him right now and he is a former Maddon player. Isn’t Kapler still Dodgers Director of Player Development (or something similar)? Wouldn’t bench coach be a step down from that? Why would Kapler voluntarily choose to be demoted? No he is manager for phillis now…. Same thing happened to Scioscia after he won the World Series. Madden was his bench coach, Bud Black was his pitching coach and Ron Roenicke was his 3B coach. Yep, so far hitting coach, assistant hitting coach, pitching coach, bench coach and 3rd base coach have been replaced. Should have kept all of them and got rid of Maddon. That would be completely stupid. Get rid of the best manager in Cubs history and keep the assistants? You are not too bright. Then of course who do you hire? That of course has to keep all the coaches? Nah, haven’t you heard that the Cubs won all those game and that title in spite of Maddon. Had they not hired him, the Cubs would not have lost a game in three years. Seriously, that is the point that some of these people are getting close to. Why? Maddon makes terrible moves daily. The team won despite for a long time. It finally caught up with him. You haven’t watched every game have you? I didn’t think so. Go back and watch the Wash and LA series. And how he completely destroyed his bullpen’s confidence. His style and laid back says got them relevant quicker. He was better when they weren’t as good. He over manages. The main problem is bullpen usage. That, and not letting guys have defined roles. He over does it with the every guy can play every position thing. Like last year he should Of let Javy remain at SS. They lost momentum when he made that change. Do you think the cubs underachived this year? If not, then you clearly you missed the first half of the season and the playoffs. Grandpa Joe’s shananigans are going to grow old quick with the fans. I think Theo and Joe got off easy because blame got spread to others. Girardi IMO would’ve been a great replacement for Maddon. The Cubs hadn’t won a World Series in 108 years when Joe Maddon took over. Two years later, and they’re World Series champions. Now, I’m not the biggest Hinch fan sometimes but I’m certainly not calling for his head right now and it baffles me any of you Cub fans would be calling for Maddon’s. He doesn’t always make the right choices, but we are all human and who does? He’s an amazing manager. People need to lighten up sometimes. Here comes “Dancing with the Stars legend, and Jon Lester’s personal Catcher” David Ross! David Ross will be the new bench coach and Theo is grooming him to take over when Maddon is finished. David maybe. Mrs. Ross probably not interested at this point. You can always have more kids, you can’t always have more time. Hopefully the Nats do not give Dave an insulating offer, like the did to Bud Black. What’s wrong with insulation? Doesn’t DC get cold in the winter? Good to see Martinez get his shot. Enjoyed watching Martinez play for the Expos back in the day. Nationals made a good (and hopefully lasting) choice. Right!!!! For the first time in a long Time the Nats actually have a Manager that doesn’t seem like an interim or a bridge to the next interim. 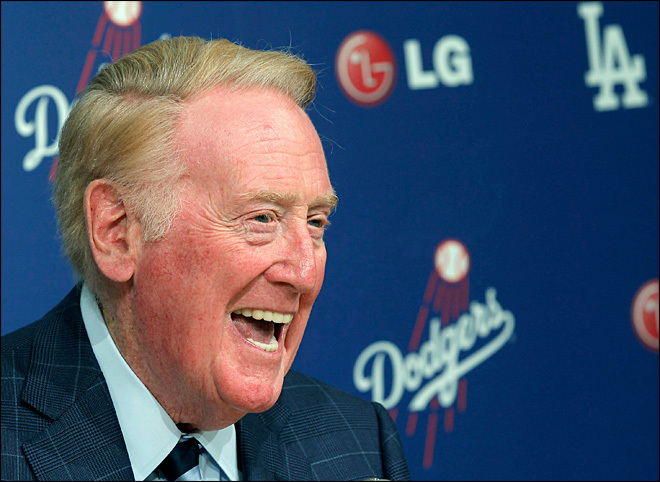 I don’t think there’s much of a chance Martinez will turn out to be the next Matt Williams – he’s been tutored by one of the best in the game for many years. Super excited about this hire. I wanted them to hire Dave 2 years ago before they ended up with Dusty. Glad they gave him 3 years with an option instead of doing their usual 2 year crap. or write to get any job? How come nobody has said Ryan Sandberg? Probably because Ryan Sandberg is an actor that nobody has ever heard of. I doubt he’d be a very good baseball coach. I guess you never know for sure until you try though. When you met him, did you ask if he is still mad at Davey Martinez? Since Martinez is gone how is that relevant? Your talking about the fling Martinez had with Sandbergs wife! possibly because they remember how uninspiring his work in Philly was? Maddon and Girardi together could not have inspired what Ryno had to word with. 100% agree, I can foresee the PR stunt the Cubs love to deploy. Like years ago when they announced right before their convention, ohhhhhh we resigned 7th inning man Kerry Wood! That literally was the huge hoopla they tried to sell to fans and amazingly it worked?!?! To reiterate a previous poster, the contract is likely for $400,000/year, deferred over the next 30 years……. Heard on the radio earlier that its 3 years, $2 million. Dusty was too expensive for the Lerners at $2 million per year. Now they get Martinez for 3 years for the same money. A great hire for the nats! I’m sure Ryne Sandberh remembers Martinez! If I’m Martinez this better come with like a 5 year contract. Since Wade Boggs broke this story, is he in line for Nats hitting coach? Should have signed him instead of Dusty to begin with, what a waste of time. So tired of these retread senior citizens getting jobs over more deserving options. Martinez is a great, great baseball mind and it took way to long to get him this job. Nats going to win a title on his watch, bet on it. Apparently Dusty was responsible for the lack the Nat’s clutch hitting and the same in Chicago. Dusty is class but he was too old to put himself in the lineups, and too unlucky to have players who could rise up under the national glare. Very Curious to see what type of option. Is it a 4th year team option like new Mets manager Mickey Callaway? I can’t imagine it being anything other than team option. I have never heard of a mutual or manager option before. Vesting that automatically vests for taking team into NLDS NLCS playoffs? etc..
Or player (err… manager) option? But You’re probably right. I just find it interesting, “team option” wasn’t automatically disclosed. If Joe G wanted a job, I can’t imagine the Cubs saying no. The Northwestern grade is beloved in Chicago. Or maybe Maddon could tutor Ryno. Theo and company doesn’t care about any of that nonsense. They cared about what was best for the team, and that was Martinez as Maddons bench coach. Highly doubt Sandberg cares much about that either when it happened 20 plus years ago. I’m sure “Theo and Co.” don’t care too much about it……….but I’d be willing to bet that Sandberg still has some feelings on the matter. Disrespectful by Maddon? What a joke. Martinez was with Maddon for years. Its about winning the world series in hiring Maddon. Davey was the only coach he got to hire. Its not about some crap in 25-30 years ago. Former Expo (1988-1991). Like the hire, but still hate the Dusty firing. Martinez gives the worst interviews. Would have of thought he had worked those issues out. Watch the Kapler interview and then Martinez’s.. Which one makes you believe one or the other has a clue on what to do in this role? It’s the Nats. He probably just agreed to take the least amount of money. $4MM over 4 years? Jeez, Max Scherzer makes that in about 4 starts. This is why the Nats have always come up short. The man that runs your team is a very important job. It is not just a position that should go to the lowest bidder. I had to read the article four times to make sure I had it right. I can’t be sure, but he had to be getting close to that with the Cubs. I highly doubt it. As I understand it only the top slice of non-manager coaches make even the MLB minimum player salary. I do know that some inexperienced hitting or pitching coaches make $50-60k. Bench coaches I think are generally more like $100-200k and topping out around maybe $500-600k. I would imagine that with Martinez’ experience and tenure as a bench coach he was at or near the top of whatever bench coaches top out at. I don’t have a source on that other than just what I’ve generally come to understand over the years… they don’t really disclose actual financial details for managers that often, and almost never talk about the rest of the coaches salary. I think for a first year manager, though, this is about par for the course. Bottom line is very few of the highest paid players are worth the money, but the Astros just won by adding one, Verlander. Teams that chase top free agents don’t win that often.